When dining out, we often splurge and order dessert, and for good reason! Restaurant desserts are some of the most drool-worthy treats you'll find, which is why we've compiled these 12 Recipes for Restaurant Desserts at Home. Now you can enjoy your favorite sweets from eateries like Olive Garden, Cracker Barrel, Applebee's, Cheesecake Factory and more, all without ever having to leave your house! Stock up on your baking essentials because you're going to want to make every single one of these mouthwatering restaurant dessert recipes, trust us. Whether you're a fan of chocolate cake recipes, fruit cobblers, pies, cheesecake or something else entirely, you'll be able to find something to satisfy your sweet tooth in this selection of restaurant favorite treats. Prepare these restaurant desserts for your friends and family and they're sure to be more than impressed by your baking skills! 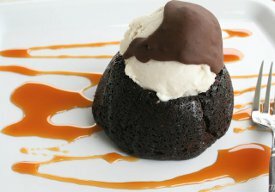 Chili's Copycat Chocolate Molten Lava Cake (shown above) - Make four delicious chocolate cakes in less than 20 minutes with this copycat Chili's recipe! Just Like Olive Garden's Black Tie Mousse Cake (shown above) - An indulgent dessert recipe that tastes just as good as it looks. Copycat Cracker Barrel Warm Cherry Cobbler - No one makes cobbler recipes quite like Cracker Barrel, and this easy copycat recipe is one of the best. Cheesecake Factory Copycat German Chocolate Cheesecake - Cheesecake fans rejoice because this is one of the most tempting recipes for restaurant desserts you'll find. 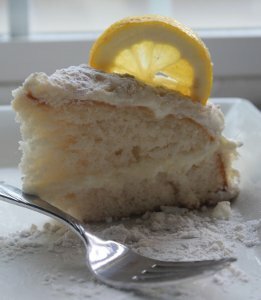 Copycat Olive Garden Lemon Cream Cake (shown above) - One of the best parts about eating at Olive Garden is the lemon cream cake. Now you can make it at home with this copycat recipe! 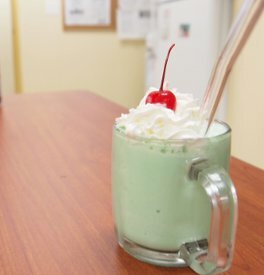 Copycat McDonald's Shamrock Shake (shown above) - McDonald's is famous for this shake which comes out each spring. Enjoy it year-round with this make-at-home version. Bakers Square French Silk Pie - If you don't live near a Bakers Square restaurant, this copycat dessert recipe is the next best thing! Cracker Barrel Copycat Coca Cola Cake - Cakes made with Coca Cola are the best and this Cracker Barrel copycat recipe will show you why. 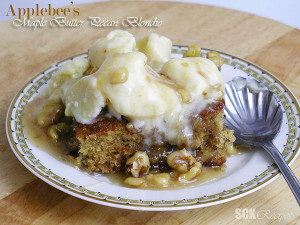 Copycat Applebee's Maple Butter Pecan Blondie (shown above) - When you don't want chocolate, this blondie recipe is a great go-to option for recipes for restaurant desserts to make at home. 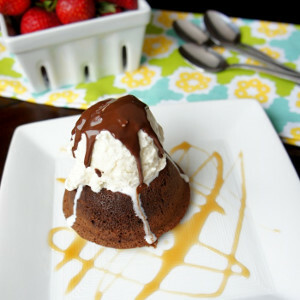 Copycat Chili's Molten Lava Cake (shown above) - Molten lava cake is about as indulgent as dessert recipes come. Give this copycat Chili's cake a try and you're sure to fall in love. Cracker Barrel Copycat Banana Pudding - When it comes to recipes for restaurant desserts, Cracker Barrel tops our list of must-haves. This banana pudding recipe is a wonderful way to end any meal. 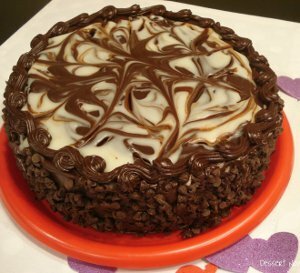 Carrabba's Chocolate Dream Copycat Dessert Recipe - They don't call this dessert recipe a "dream" for nothing. Restaurant desserts as delicious as this one from Carrabba's are few and far between, so be sure to make this yummy chocolate treat! We hope you enjoyed this selection of recipes for restaurant desserts. The next time you go out to eat, skip the dessert menu and make your own sweet treat at home. Not only will it save you money, your version might just taste even better than the dish you'd get at the restaurant! Love these recipes. thank You.